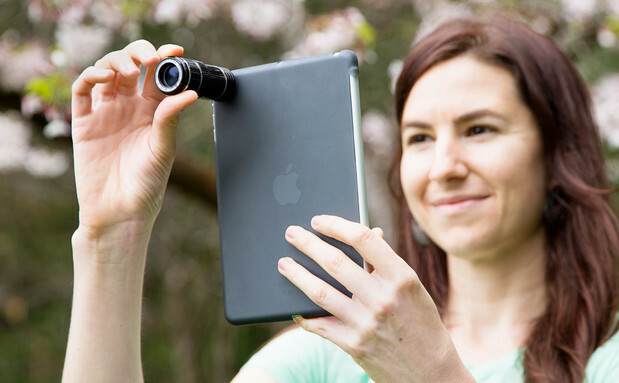 As if iPads don’t look ridiculous enough when they’re being used as cameras, the Photojojo store has announced a new accessory guaranteed to make them look even more silly. 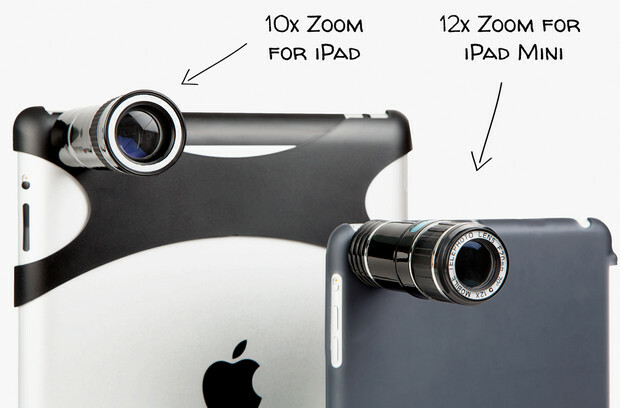 Offering a 10x zoom for the iPad and 12x zoom for the iPad Mini, this abomination called the ‘ iPad Telephoto Lens’ awkwardly clamps on to the tablet, and looks like someone’s rammed a mini telescope on its back. ‘Capture concert photos from your back row seat like it ain’t no thang,’ suggests the blurb, although we’d be more inclined to use the lens as a handy throwing handle if we had to suffer some doofus blocking our view with an iPad throughout a gig. 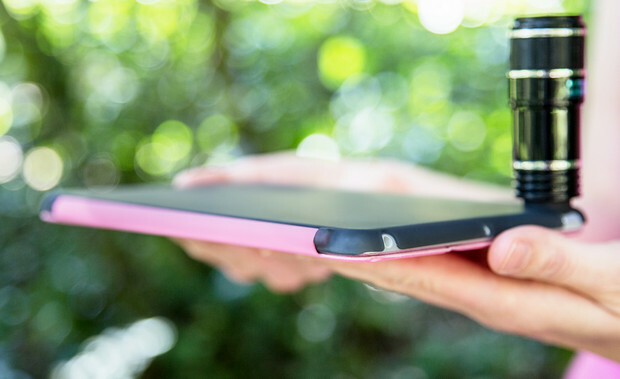 Amusingly, even one of their own product promo shots conspires to be completely out of focus – perhaps that’s there to provide a taster of what you can expect. We have serious doubts that all the images on their webpage were actually taken by this awful gadget, but if you really want to look a complete arse and wander about with this mix of Dalek and iPad, you can order one right here. We suspect that the forces of righteousness were involved in this incident below, teaching the bloke a lesson he won’t forget in a hurry.